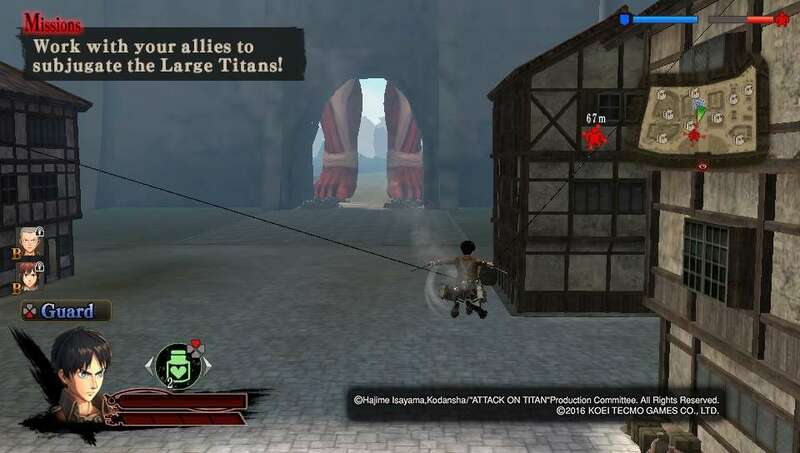 The action game Attack on Titan is out today for the PS Vita, PS3 and PS4 in North America (PS Vita & PS3 digital release, PS4 retail + digital release). 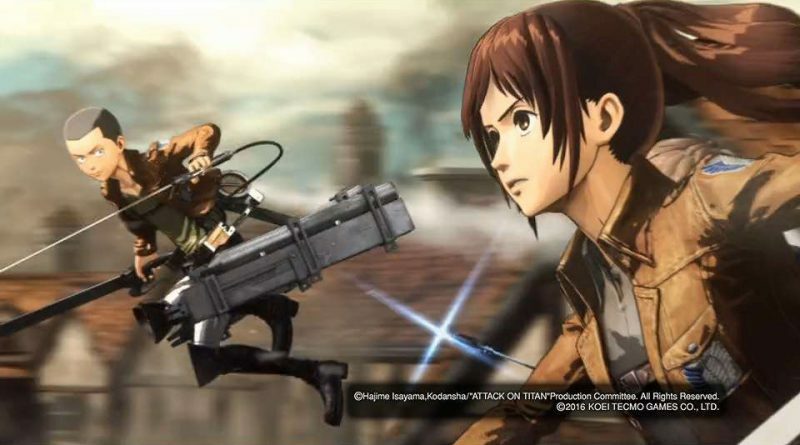 Attack on Titan brings the most shocking, courageous and exhilarating moments of the hugely successful anime to life, following the events of the show’s first season and beyond. 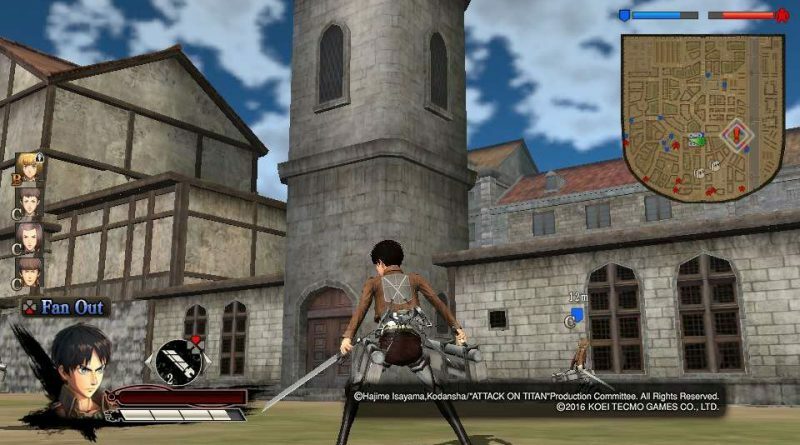 Taking on the titanic task of saving humankind, players of Attack on Titan will engage in high-flying, high-octane combat as they utilize the trademark Omni-Directional Mobility Gear and ultra-sharp blades to repel the eerily human-like Titans. 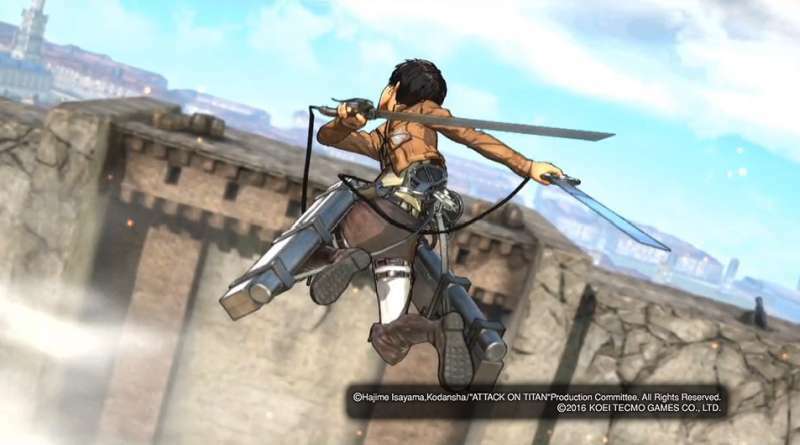 Upgrading each component of gear—including the scabbard—will be key to successfully slaying Titans, with enhancements for movement speed, blade durability, damage and improved anchors on offer at the camp in-between single and multiplayer missions. 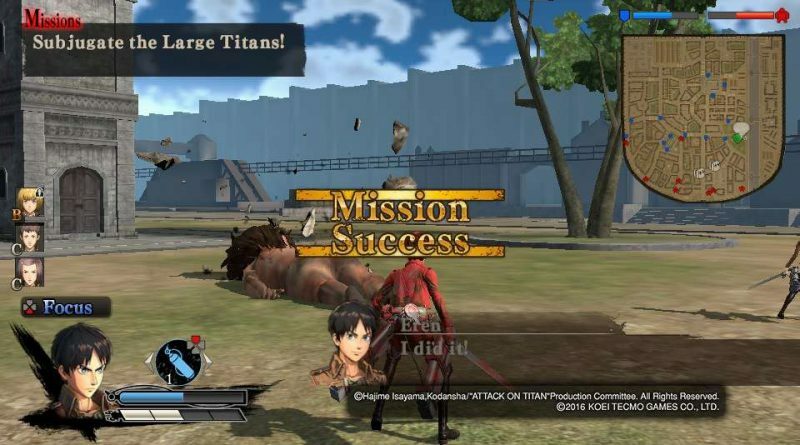 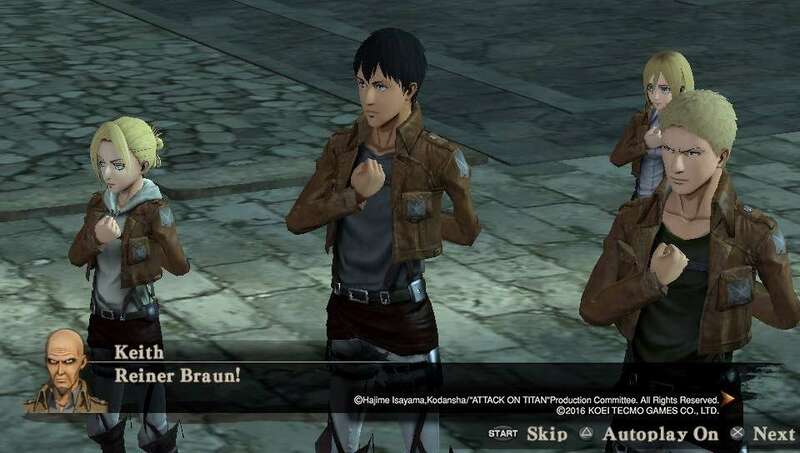 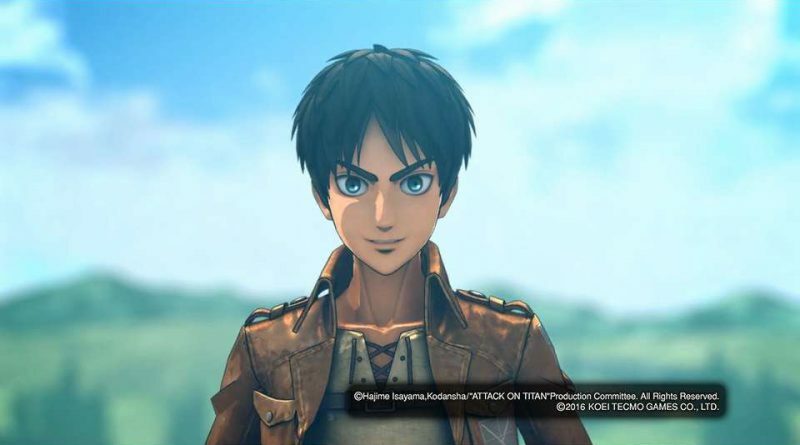 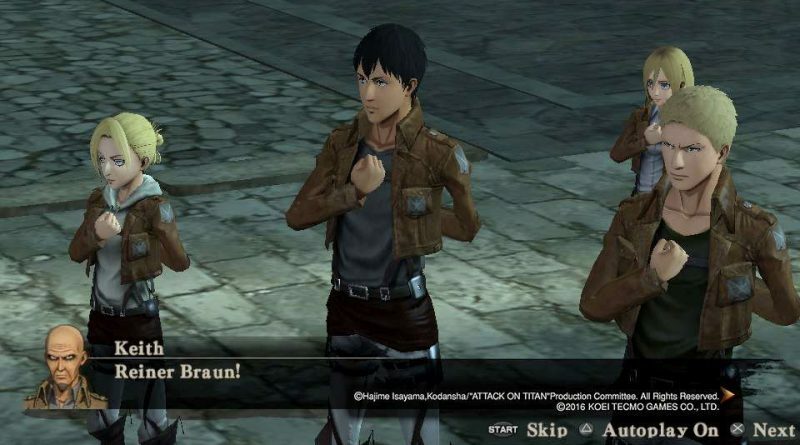 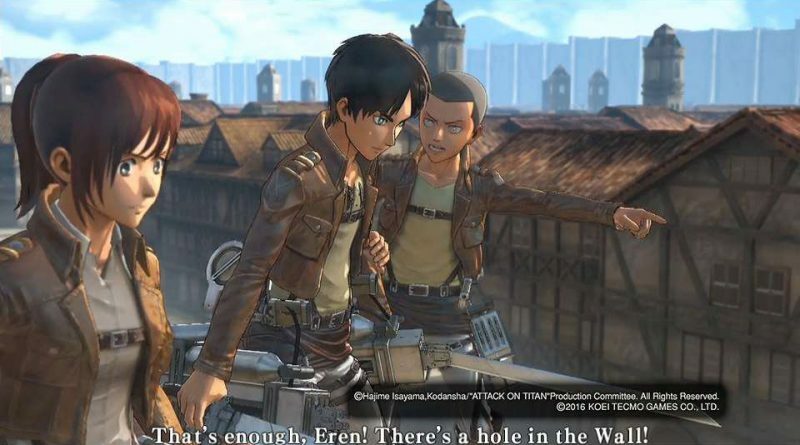 Players will fight as fan-favorite characters such as Eren, Mikasa, Armin, Sasha and Levi, as well as take control of Eren’s powerful Titan form. Growing considerably in size and trading in Titan-slaying gear for devastating melee attacks, this form offers a unique shift in gameplay that gets up close and personal with the gigantic creatures! 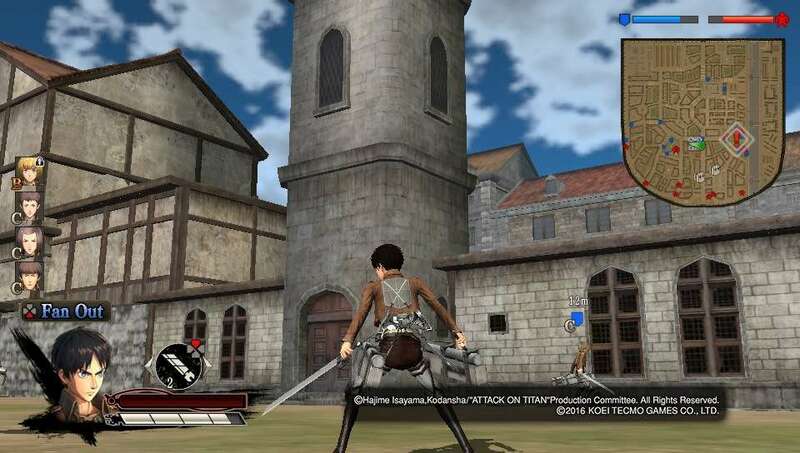 In addition to the game’s main campaign, players are able to recruit up to three companions online in Scout Mode to venture outside the wall and tackle missions across a variety of different stages, including the Forest of Giant Trees, the Ruined Town, a Farm Village and even the Stohess District.